With the arrival of summer, it is inevitable for just about all of us that there will be changes in our lives. Kids are off of school, swimming pools and beaches start to fill up, grills are dusted off and fired up, and the hot weather and leads to shorts, tank tops and swimming suits to be pulled out and pulled on. For me, the latter is always a good reminder that this season is a great time to make smarter food choices, focus more on healthy living and reduce the number of calories I consume. But diet? That's just not me. Instead, I would rather make small, easy lifestyle changes that can lead to big results over time. Don't scrutinize every last thing you eat or go home unhappy and starving from the BBQ, just take things one day at a time... starting with cutting out unnecessary sugar and replacing it with SPLENDA® Sweetener Products! Did you know that many of us underestimate the amount of added sugar in our diets? And that the average American consumes more than 22 teaspoons of added sugar per day, which is more than triple the recommended amount for women? How about that by swapping just one cup of sugar with one cup of SPLENDA® No Calorie Sweetener, Granulated that you can save more than 600 calories? 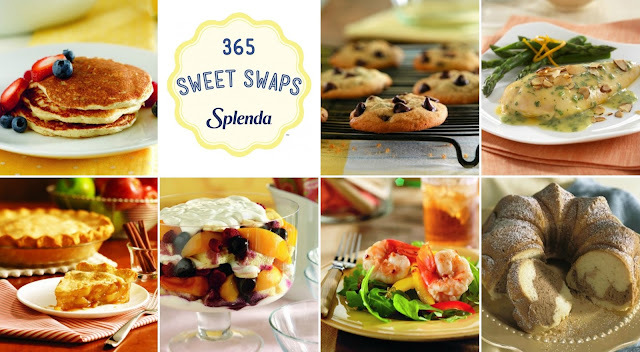 In fact, using SPLENDA® Sweetener Products, like SPLENDA® No Calorie Sweetener and SPLENDA® Sugar Blend, allows all of us to create dishes we love that can fit into a balanced lifestyle. Right now it is even easier to reduce added sugar and be more mindful about the ingredients we use in recipes thanks to the delicious array of recipes featured on SweetSwaps.com! With so many delicious ways to make smart choices and swap out full sugar for SPLENDA® Sweetener Products, it was time to get together with some amazing friends to try one out. 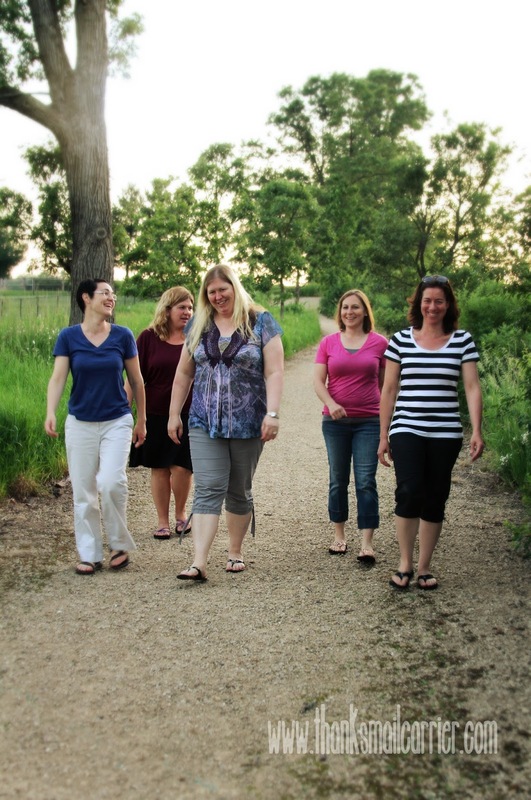 As it was such a beautiful evening when everyone had arrived, we first opted to take a relaxing, sunset walk to get in a little fresh air while we chatted. What could be better for the mind, soul and body than spending some time in nature while talking and laughing with friends? I love these amazing ladies! 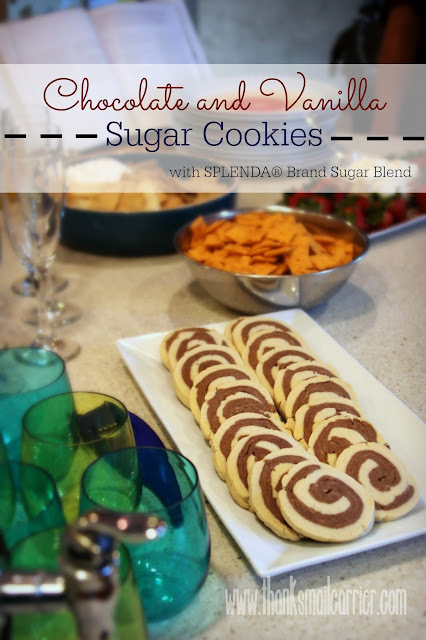 After we returned, it was time to continue our evening of relaxation with some drinks and snacks and, the highlight of the spread, my SPLENDA® Brand Chocolate and Vanilla Sugar Cookies. These unique cookies were a lot of fun to make and, aside from leaving the rolled dough in the fridge to chill for an hour or so, weren't very time-consuming. 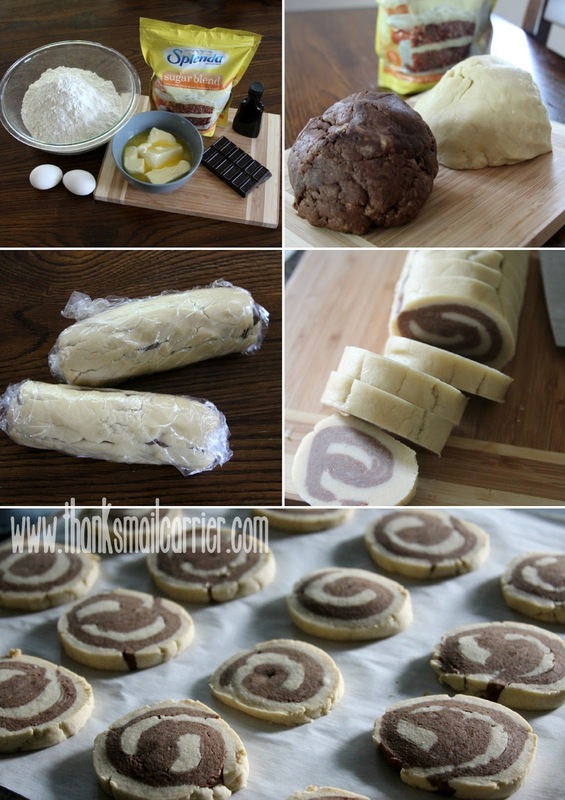 Mix, mix, mix, roll, roll, roll, and cut, cut, cut and then pop them in the oven for around 10 minutes until they are done! This SWEET SWAPS™ recipe was not only a hit with my friends due to the cookies' fun designs (not exactly perfect pinwheels like the example from the SPLENDA® Brand, but that's okay, right?) and fabulous taste, but when I mentioned that they were made with SPLENDA® Sweetener instead of sugar, that made everyone even more excited about them! Delicious flavor from a no-calorie sweetener equals yes, please! This summer (and beyond), we can take it upon ourselves to take the stairs instead of the elevator, opt for an extra hour of sleep instead of watching another episode of our favorite TV show, or ride our bike for our next errand instead of taking the car. 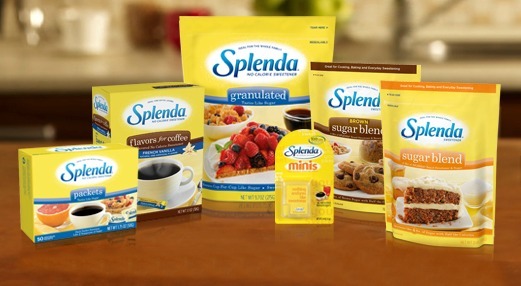 But if you're like me and always on the lookout for simple recipes and changes in the kitchen that can be part of a balanced lifestyle as well, then be sure to reach for any of the great SPLENDA® Sweetener Products when you are cooking, baking or just looking to lessen your family's calorie intake. 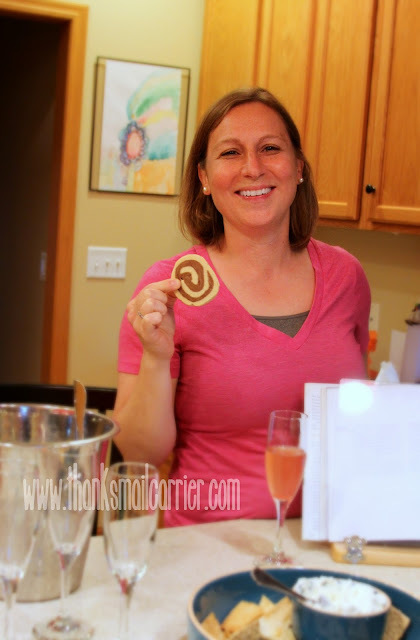 Just check out all of the inspiration, motivation, tips, tricks and delicious recipes waiting for you at SweetSwaps.com! These are to die for, seriously!!! I love using Splenda. It works so well in my cooking. Thanks for the suggestions.